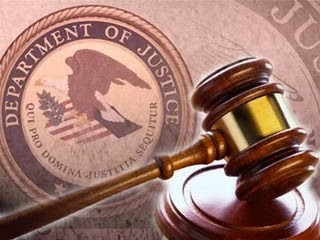 PHILADELPHIA – Kenneth Narzikul, 59, of Media, PA, pleaded guilty today to charges of major fraud against the United States, obstruction of a federal audit, and making false claims to the government, in connection with operation of his business, NP Precision, Inc., a machine tool business located in Folcroft PA. U.S. District Court Judge L. Felipe Restrepo scheduled a sentencing hearing for November 25, 2014. Narzikul was President and 85% owner of NP Precision, responsible for all aspects of NP Precision’s business, which included contracting with federal agencies to produce critical hardware components used in military helicopters and other aircraft. At the guilty plea hearing, Narzikul admitted to misusing progress payments on contracts with the United States, by failing to pay subcontractors and requesting progress payments under the contracts for costs that NP Precision had not actually incurred, and without the intention of using the progress payments for the costs and contracts at issue, in violation of Federal Acquisition Regulations (FAR). Narzikul admitted that he schemed to fraudulently divert and steal approximately $1.2 million in progress payments that the United States paid NP Precision under two contracts to produce drive shaft couplings for the U.S. Army helicopter Model CH-47, commonly known as a Chinook helicopter. Consequently, as Narzikul admitted, the United States received a very belated and many times incomplete product, far later than required under the delivery schedules. In addition, Narzikul admitted that he made false statements and caused others at NP Precision to make false statements to government auditors, and made false claims to falsely reflect progress on numerous Army and Air Force contracts and to continue to receive progress payments from the United States. Narzikul admitted further that he used the diverted funds to pay outstanding obligations on other contracts and other business and personal expenses of the defendant and his family. Narzikul faces a maximum possible sentence of 20 years in prison, three years of supervised release, a $1.5 million fine, and a $300 special assessment. Full restitution of as much as $1.2 million also may be ordered. The case was investigated by the Major Procurement Fraud Unit (MPFU) of the United States Army Criminal Investigative Command (Army CID), the Defense Criminal Investigative Service (DCIS); and the United States Air Force Office of Special Inspection (Air Force OSI). It is being prosecuted by Assistant United States Attorney Mary E. Crawley.